Client’s Corner: Toolplas Systems Inc.
Toolplas Systems Inc. was founded in 1999, with its corporate office in Windsor, Ontario and locations in Mexico and China. 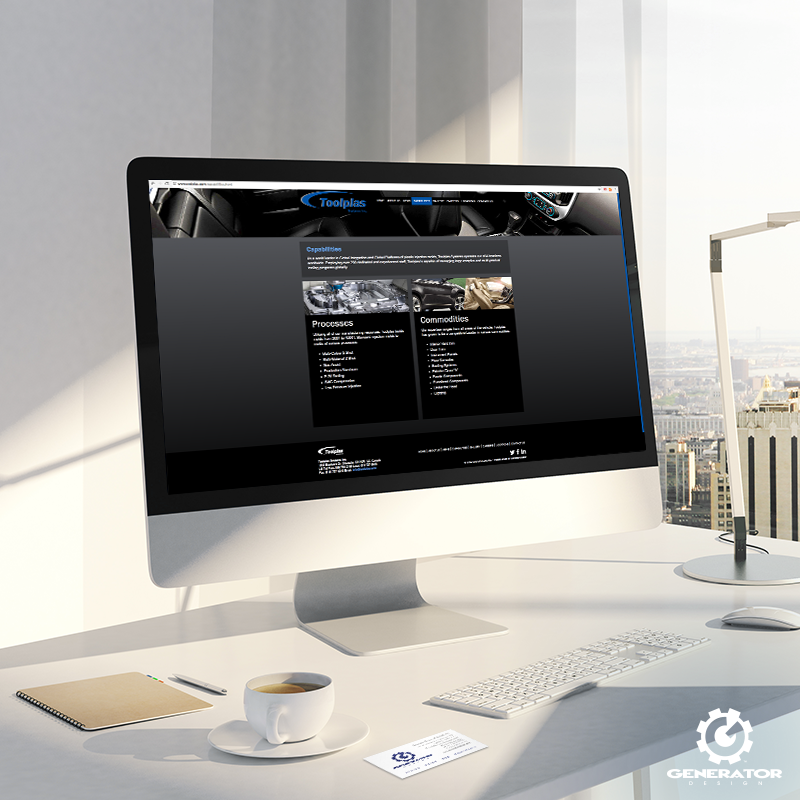 They specialize in the design and manufacturing of compression, plastic injection and related tooling for automotive interiors, exteriors and functional component modules ranging from 200T to 4000T. Their mission is to deliver problem-free tooling to customers with their engineering experience and technical expertise while providing a robust work environment and culture for their team members. In order to ensure their customers’ success, Toolplas aims to be the leader in North American interior and exterior mold engineering and production. 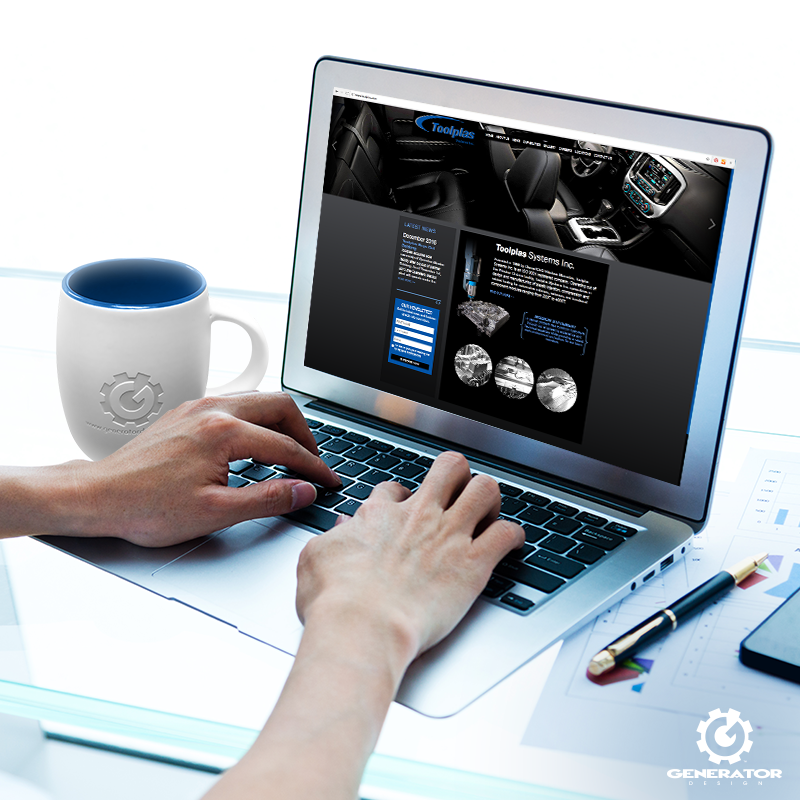 Generator worked closely with Toolplas to redesign their existing website. 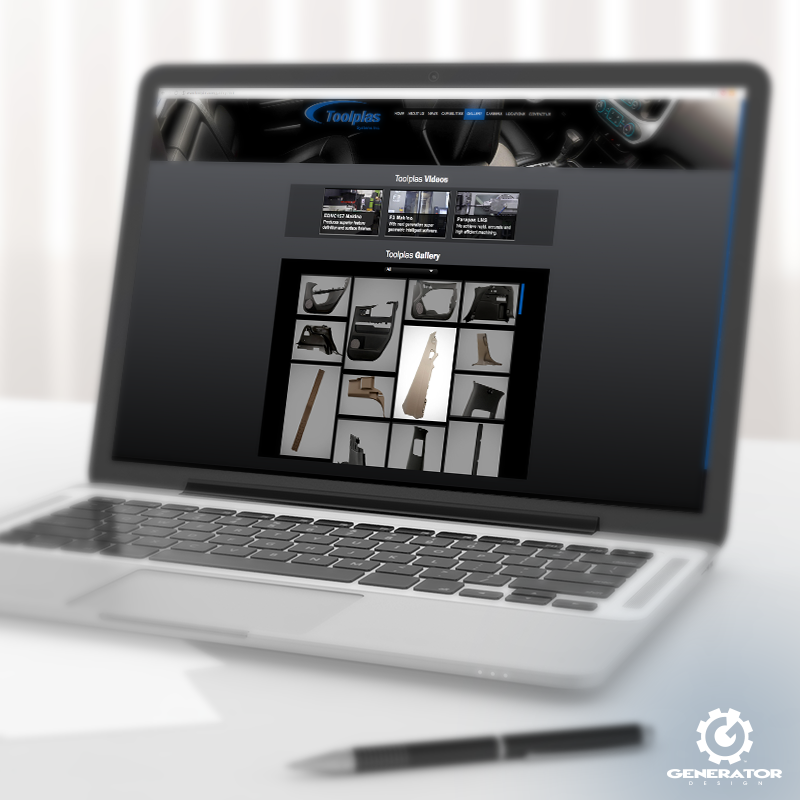 In addition to developing a clean, user-friendly experience, Generator managed a photoshoot with photographer Ahmad Abou-Taam to create a gallery of their extensive portfolio of parts. Take a look at the completed Toolplas website and explore their work and capabilities.